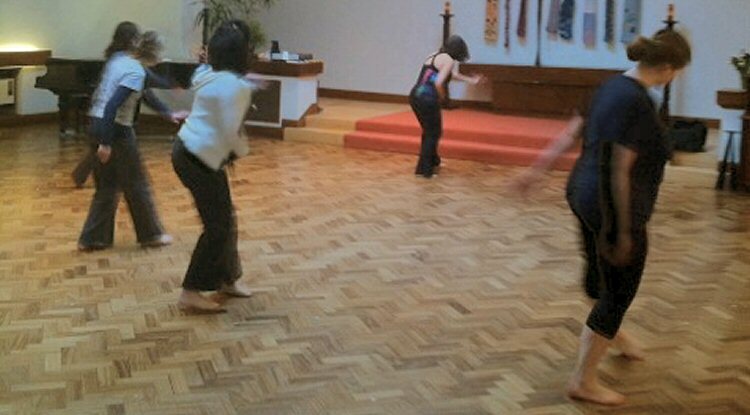 Regular Nia classes take place at Essex Church, every Wednesday lunchtime from 12.30-1.30pm, and also on the third Sunday of every month from 2-3pm, led by Sonya Leite. The cost to take part is £10 per drop-in session (£8 concessions / church members) or £40 for a block of 5 classes to use within a 3-month period. Contact Sonya Leite on 0207 371 1674 for more information. Nia is holistic movement for body and soul. It is an expressive movement practice promoting fitness, creativity and wellbeing. Fusing dance, yoga, tai chi and martial arts, Nia provides a holistic workout and leaves you feeling energised, relaxed and centred. It suits any level of fitness, age and experience, working from where you are now. Nia’s barefoot, grounded approach maximizes body efficiency and teaches you to move consciously in a gentler way. Dance movements are mixed with subtle therapeutic suggestions and visualization techniques that help you develop awareness and heighten sensation. The result is a fusion of movement styles that is incredibly free and liberating. Moving between simple choreography (form) and freedom of movement (freedance), Nia classes combine the grace and expressiveness of dance, the power and explosiveness of martial arts, and the wisdom and stillness of yoga and tai chi.